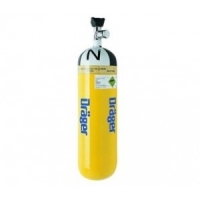 Dräger PSS 3000 is one of the lightest self contained breathing apparatus carrying system to date. We have applied the same advanced technology and design philosophy which was derived from our class leading range of short and extended duration professional breathing apparatus. The extremely durable carrying system features our new and innovative ultra lightweight, high strength carbon composite carrying frame which exhibits outstanding thermal, impact and chemical resistance properties. Suitable for use in all conditions easy and quick to don, the lightweight harness has been specially designed to retain its form over a wide range of environmental temperatures and conditions. Utilizing materials which have good chemical and abrasion resistance and also meet the heat and flame requirements of EN137:2006 (Type 2). Versatility is the foundation of the Dräger PSS series of products. The breathing apparatus PSS 3000 enables the wearer to benefit from leading edge breathing protection technology incorporating, the same advanced pneumatic system used in the class leading breathing apparatus Dräger PSS 7000 – is the choice of pioneering Fire Departments worldwide. Quick and uncomplicated to service, the breathing apparatus PSS 3000 incorporates a number of unique design features to ensure that downtime, and therefore costs, are kept to a minimum during maintenance. All the major components are simple and quick to remove and re-assemble. 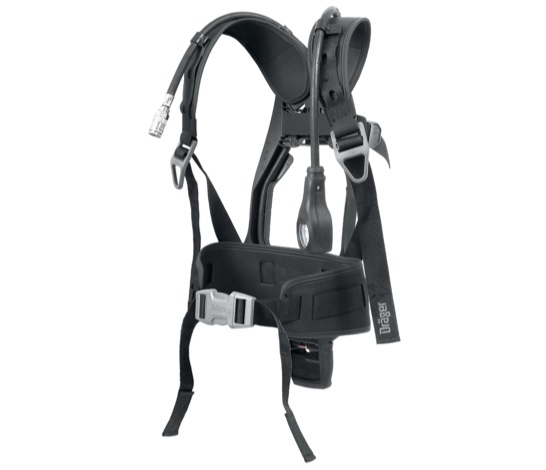 The harness is attached to the carrying frame by an innovative single-piece retention method. In addition the first stage pressure reducer, integrated into the carrying frame for added protection, can be readily removed. High performing, easy to use and combining both new and proven innovative technology, the Dräger PSS 3000 guarantees a lifetime of depenable service whilst at the same time minimizing the costs of ownership.